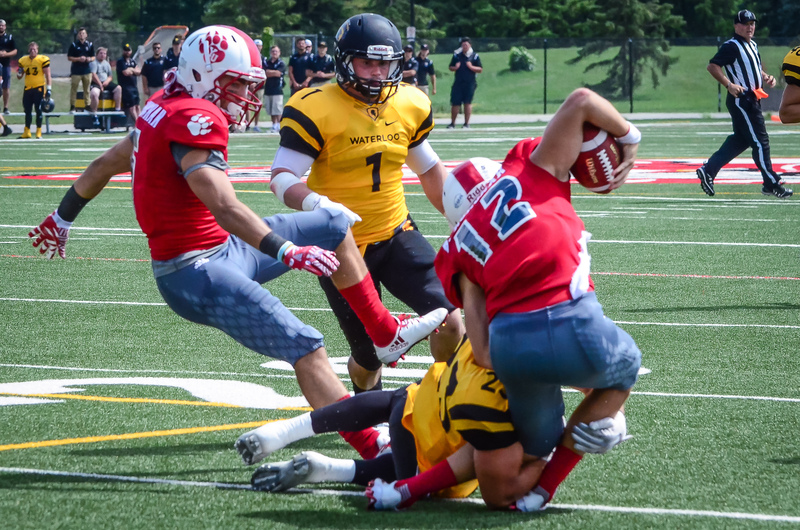 On Jan. 7 2019, the Canadian Centre for Ethics in Sports announced that University of Waterloo football player Lucas Merlin was suspended after testing positive for cannabis last year. Merlin, a defensive back who was honoured as a graduating player by the university in the Fall of 2018, served a two-month suspension for the banned substance. Although cannabis was legalized in October of 2018 by the federal government, it remains banned by the Canadian Centre for Ethics in Sports (CCES) and is classified as a “specified substance.” Per CCES regulations, urinary concentrations above 150 ng/mL are deemed excessive and punishable; Merlin tested positive on Oct. 27 2018, during the OUA quarterfinals against the Guelph Gryphons. Following the findings, the CCES proposed a two-month ban for Merlin. Under the rules of the Canadian Anti-Doping Program (CADP), any athlete facing their first violation due to the use of a “specified substance” is eligible to appeal for a reduction of the sentence; however, Merlin waived his right to a hearing and accepted the suspension. The suspension concluded on Jan. 2, 2019, taking place entirely during the team’s offseason. While suspended, Merlin was ineligible to participate in any capacity with the Waterloo men’s football team, including training with teammates.